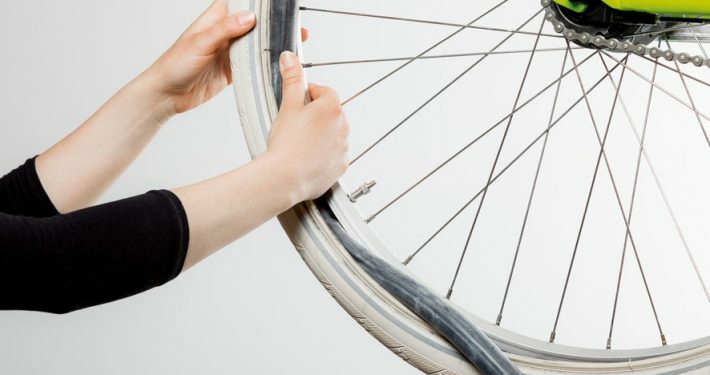 PUT AN END TO TIME-CONSUMING REPAIRS. The concept: From one comes two. 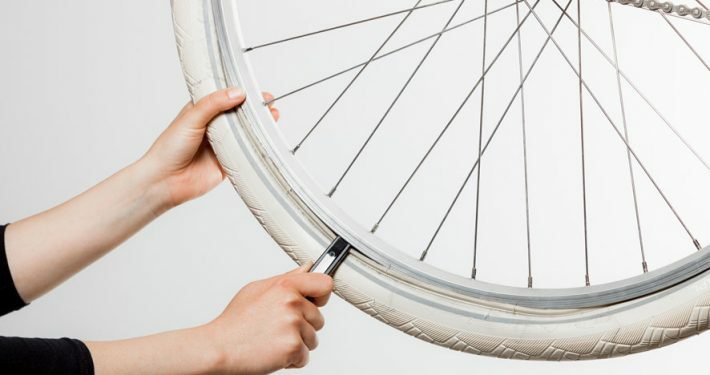 You’re bound to get a flat tyre just you don’t need one. 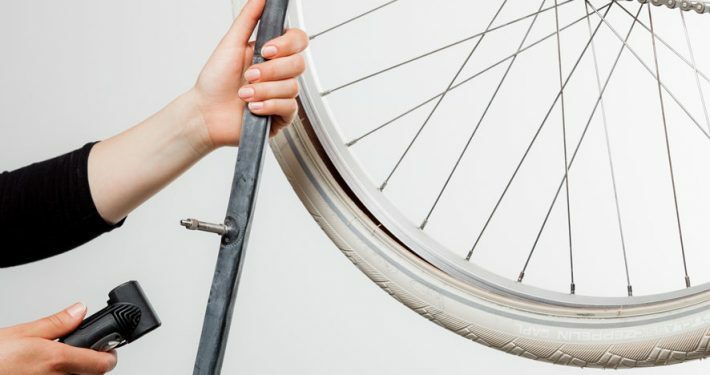 Even we’ve been through it – a flat tyre got in our way during a family bike ride, and we didn’t have the necessary tools with us to fix it. 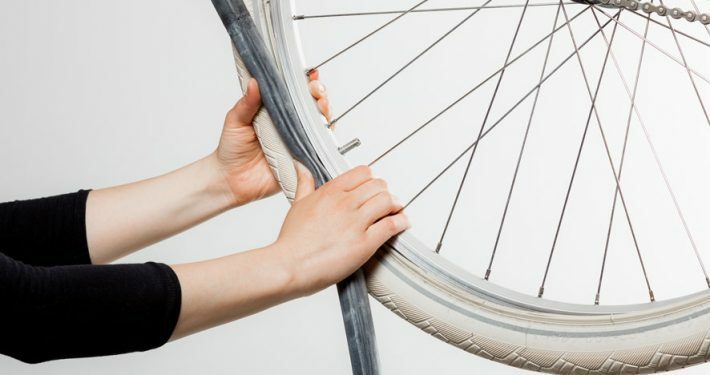 During the days after, we asked ourselves over and over again if there wasn’t any other way to change a bicycle tube, without also having to change the wheel. And now the possibility is here! 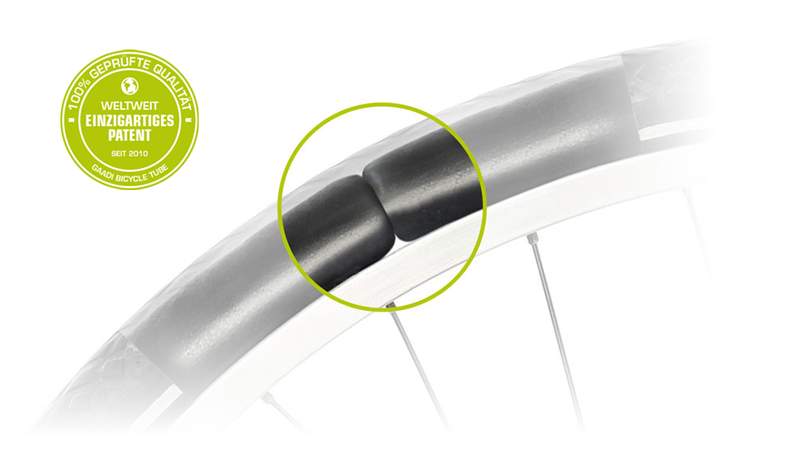 After a yearlong process of trying, testing and finally manufacturing a prototype, we developed the GAADI bicycle tube with two ends. 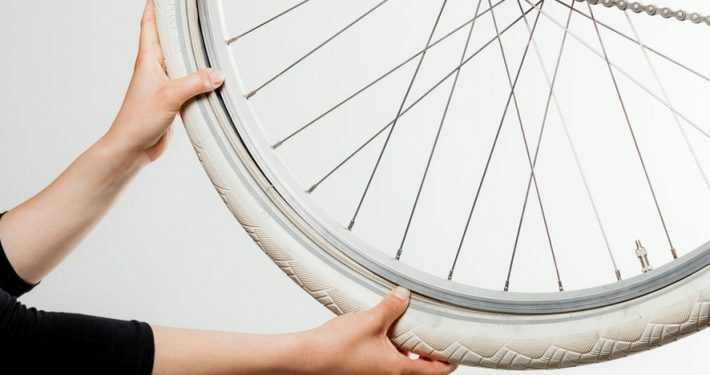 It is extremely practical for e-bikes and roadsters, for example, but it can also save the day if you’re riding mountain bikes. 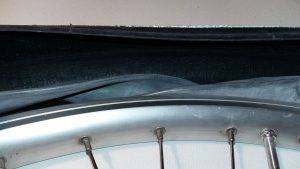 It is available in various wheel sizes: 20, 24, 26, 27.5 and 28 inches. 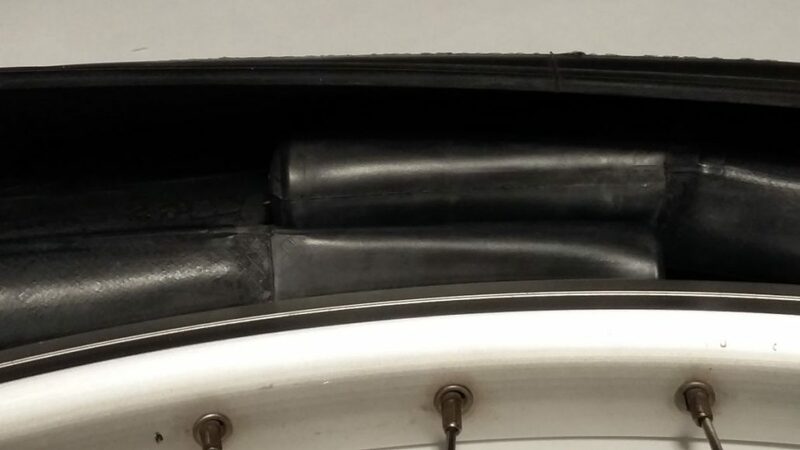 It can be supplied with either a Dunlop (DV), Schrader- (SV) or Presta (FV) valves. Or is that your tyre? 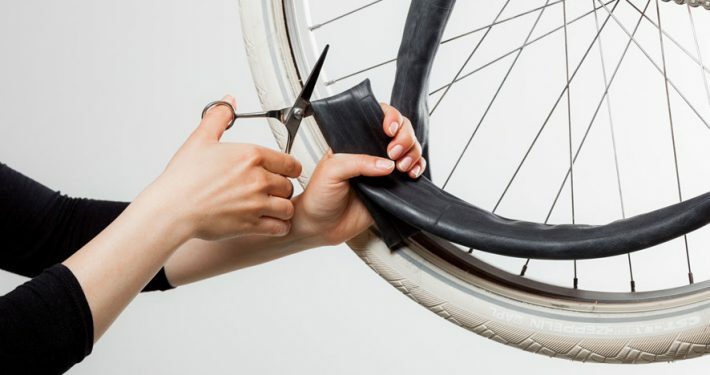 We’ll get both you and your bicycle back on the road in no time, as changing your bicycle tube is a piece of cake with GAADI. And you won’t even get your hands dirty in the process! 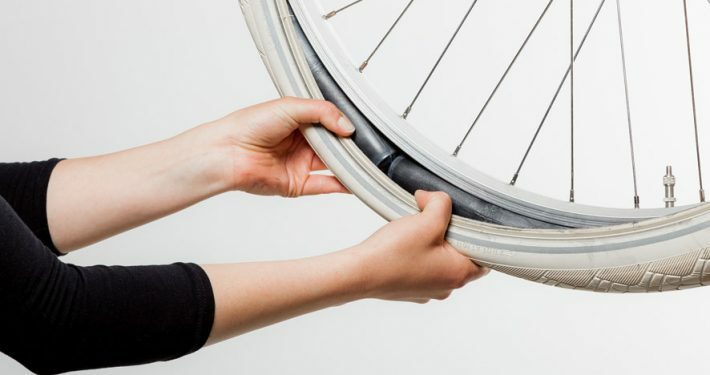 It doesn’t matter whether you’re training, taking some leisure time or on your way to work – when it comes to a flat tyre, you can change the bicycle tube both quickly and easily. No toolbox. No injuries. No dirt. 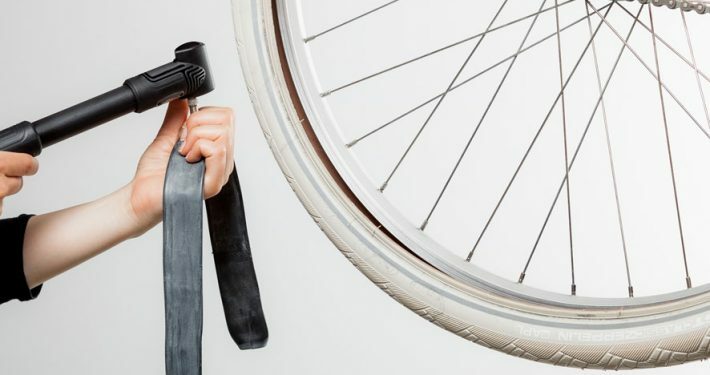 The GAADI bicycle tube is small, light and can be tucked away in a saddle bag without a problem. It’s also super easy to assemble. 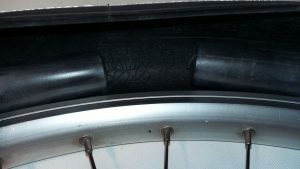 Both ends of the GAADI bicycle tube meet by applying low air pressure, creating a seamless connection. 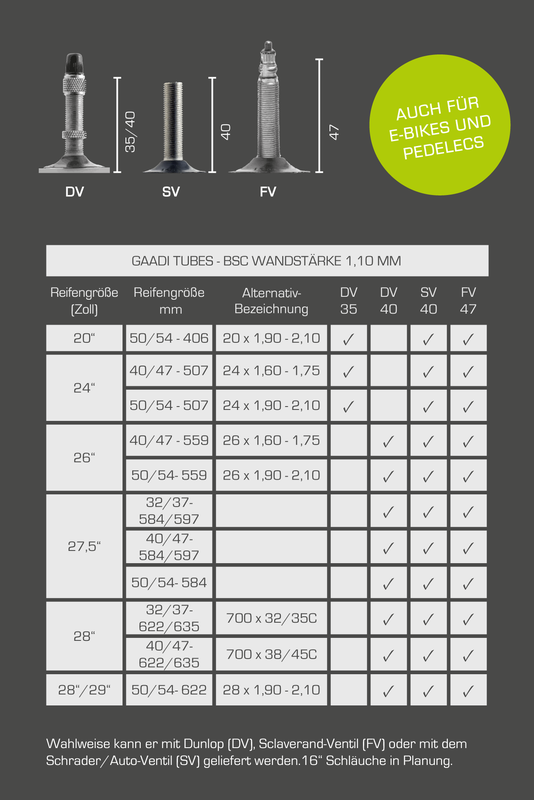 Just like conventional tubes, you won’t feel any imbalance. Why not give it a try! 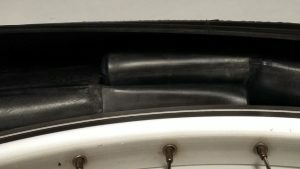 Remove the damaged, conventional tube from the casing. 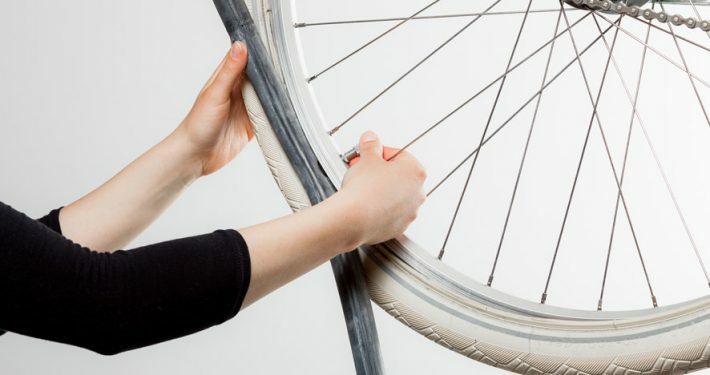 Unroll the GAADI tube and pump it up slightly. 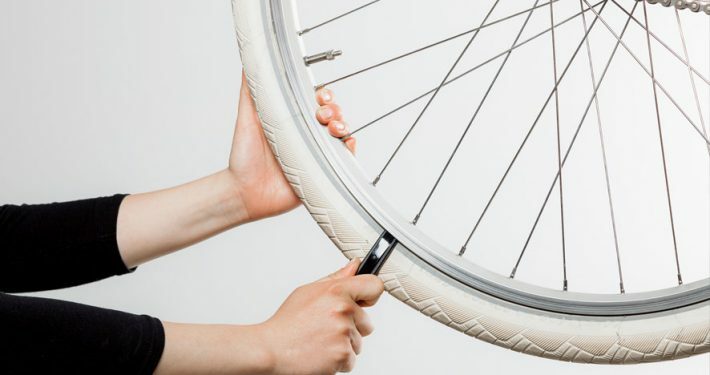 By turning the wheel, insert the tube little by little. Please make sure that the tube doesn’t twist when being inserted. Place the casing back onto the wheel rim. 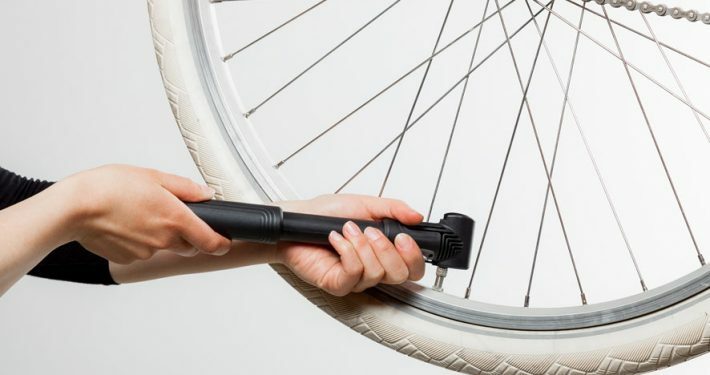 Now pump up the tyre as normal. 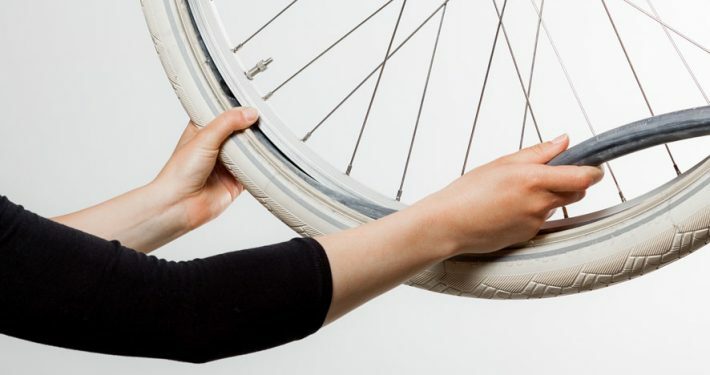 Please be aware how much pressure is feasible for your bike casing and make sure it sits correctly on the wheel rim. Please try and avoid these mistakes.